For the last week, I have been on vacation with my husband in Charleston, SC. We havent’ seen that much of the south, and also wanted to go some place where there are beaches, and sun. 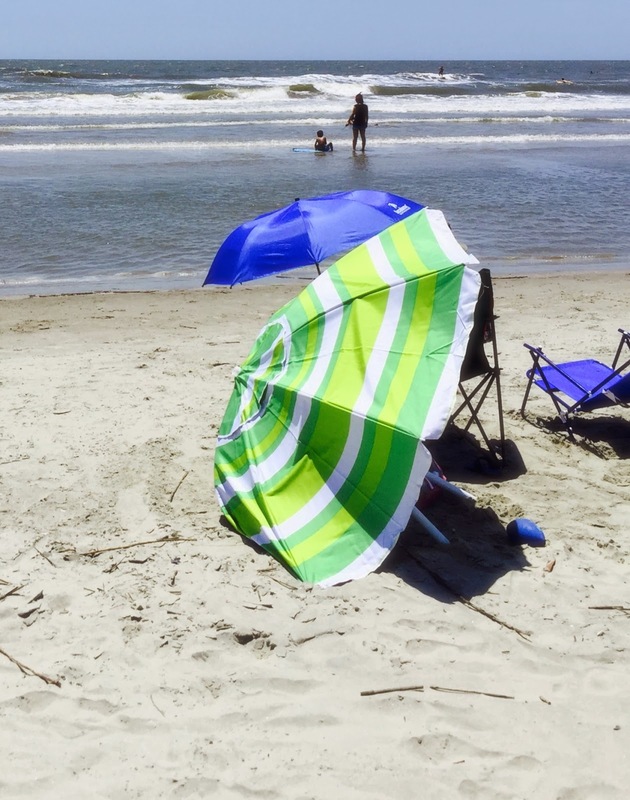 Charleston is a beach lovers dream. 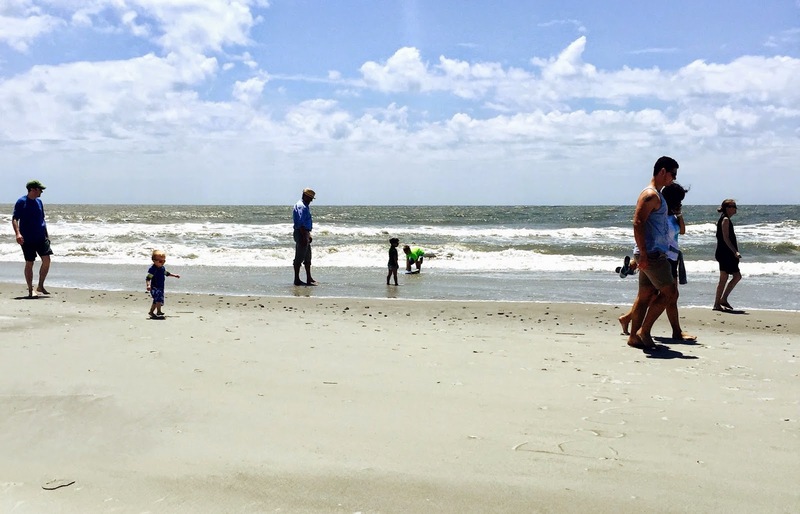 We saw almost all of them, but Isle of Palms was my favorite beach. In each direction, I could see miles of sandy coastline, which never seemed to end. And in a historic place like Charleston, I like to think about the settlers who came many centuries ago and settled off the shores. It’s hard to imagine, what their reactions were to this new land. How will they survive here. It takes a lot of bravery and guts to take such a huge leap of faith. How many brought all their quilting supplies? I don’t doubt some did. Everything was very lush, and there was lots of old trees with Spanish Moss hanging from them. Many palm trees, which I didn’t expect. One of my favorite scenes is the long docks that go into the salt marshes, which were in the movie “The Notebook.” Many of the scenes from the movie were filmed in this area. 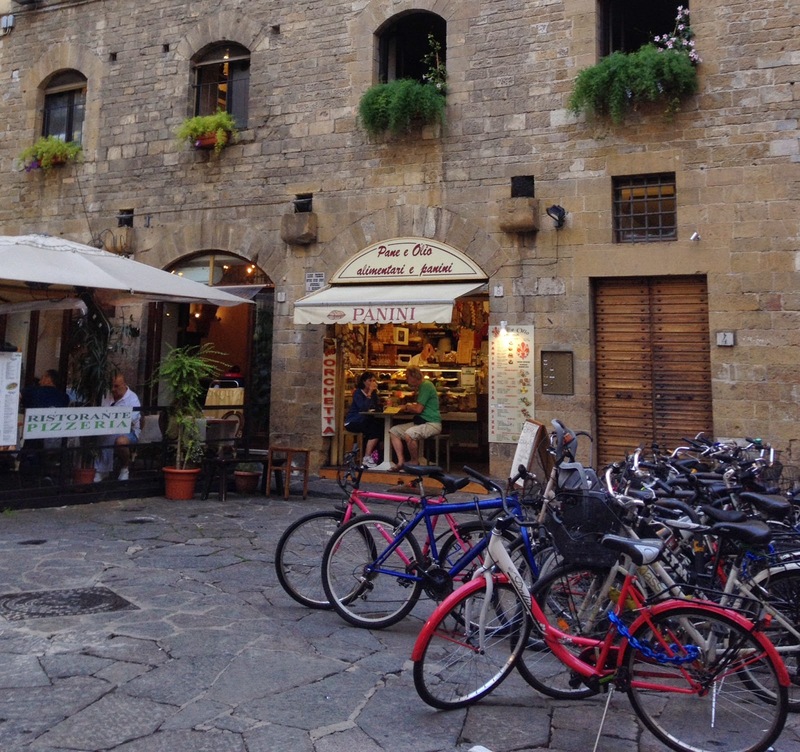 Each little town had it’s own personality. And coming from New York I was surprised at how clean everything was, even in the city. And no graffiti. American flags were everywhere to honor the veterans. This photo was taken on Sullivan’s Island. We visited with a friend of ours who recently moved to Daniel Island, and told us that coconut cake is a big thing there. 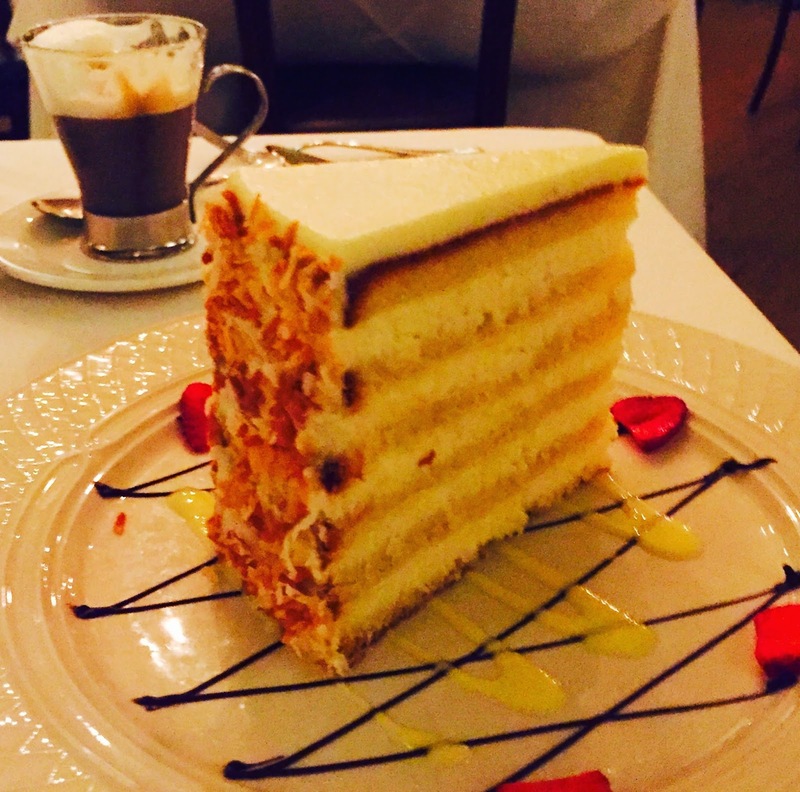 The Penninsula Grill boasts The Ultimate Coconut Cake. Of course we tried it. It was very large, and the best I can remember tasting. 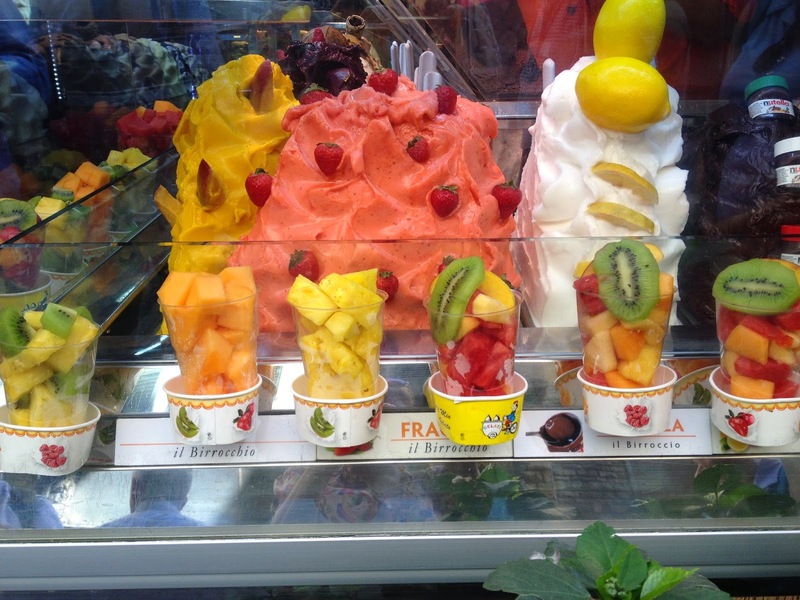 The server told us that a few days before Christmas, they make several hundred, because people send them as gifts. They cost $120.00 a cake plus special shipping. 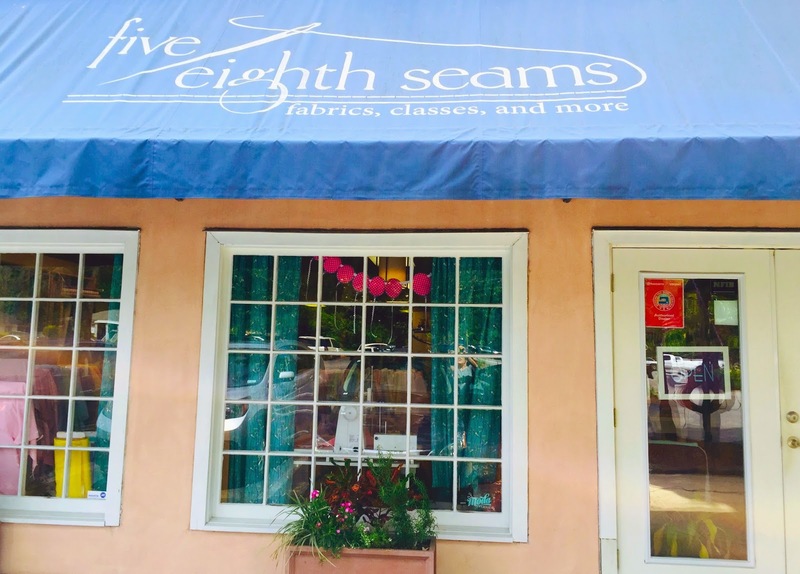 Of course, I couldn’t leave without visiting at least one quilt shop.Five Eighth Seams, in Mt. Pleasant, SC. Quite a lovely quilting shop. And if you are ever in this area, check it out. 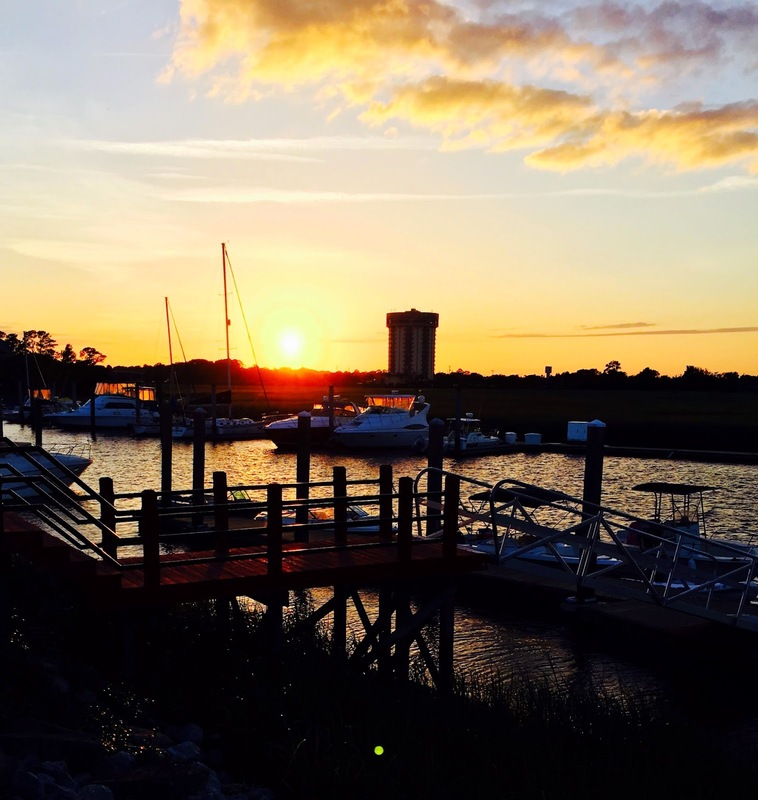 We ate lunch one day at Water’s Edge in Shem Creek. There are three small fins you can see in the photo below. We got a great surprise – some dolphins!! I still can’t believe the week went so fast. On the last day we went for an hour and a half cruise on a small catamaran. Another activity, I highly recommend. Ask for Brian at Charleston Sailing Adventures. He shared with us many interesting facts and stories. Afterwards we docked nearby. Afterwards, we went to California Dreaming and were greeted by a sign that gave all four of us a good laugh. (My friend from college who moved to Charleston and her nephew were with us). I love these last two photos. 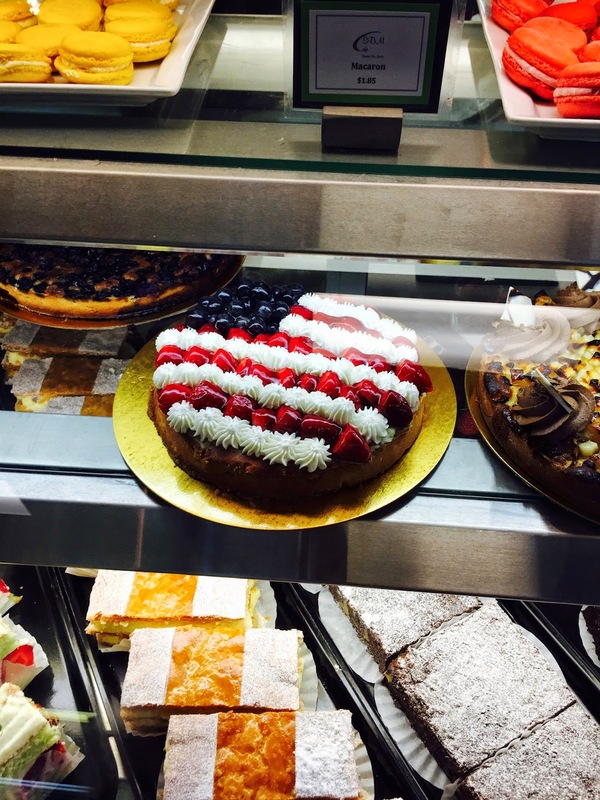 One of them sums up what Memorial Day is about – seeing the flag of our nation everywhere, and feeling grateful about our freedom, and being thankful to all that serve our country. 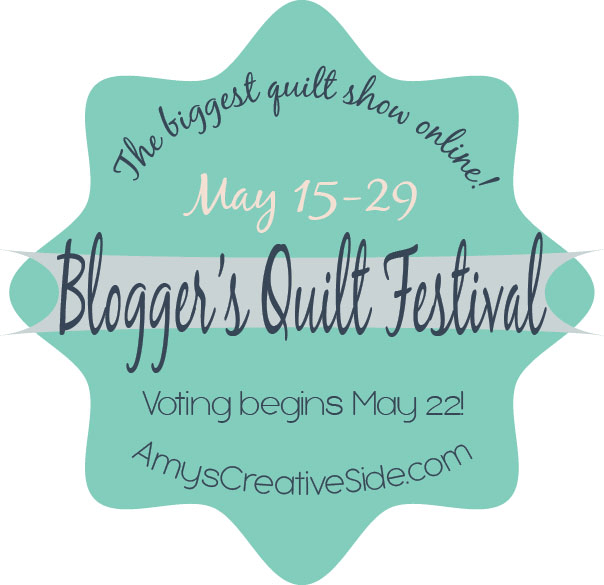 Before I sign off, check out the beautiful quilts and blogs at Blogger’s Quilt Festival, sponsored by Amy@Amy’s Creative Side. I entered a quilt in the hand quilted category. There is more information on my web site at the following URL, and photos. Most of all, enjoy all of the inspiring quilts and learn about their makers and designers. It’s just a really fun festival to participate in. Lots of WIP’s to share this week. Happy Quilting!! We just came home from a wonderful and restful week in Charleston, South Carolina. What a beautiful and welcoming city. I will post more in the next day or two and share some photos. I am so grateful we got to do this after a tough winter in NY. I will share this one photo which is funny. 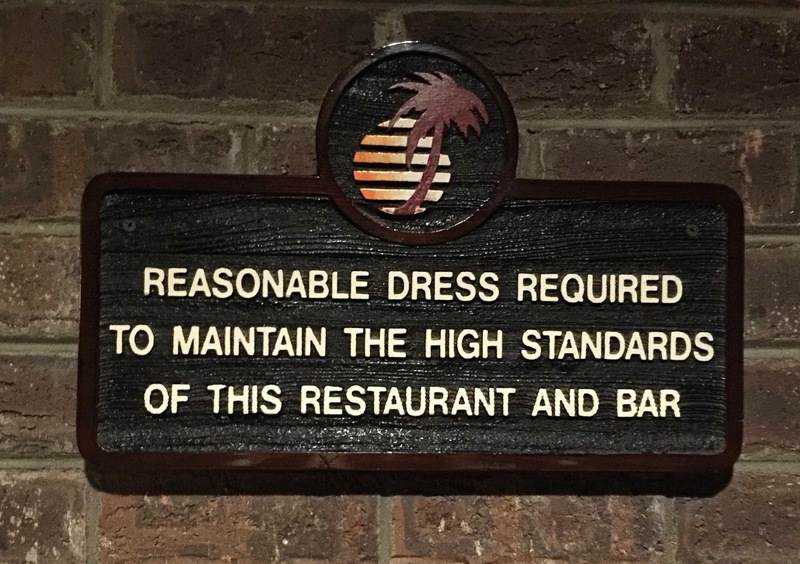 We went to a restaurant last night, and as we entered the following sign greeted us. Actually the surprise of it represents our whole week. Every where we turned there was an interesting or funny surprise to discover. It’s hard to believe that 19 days went so quickly. 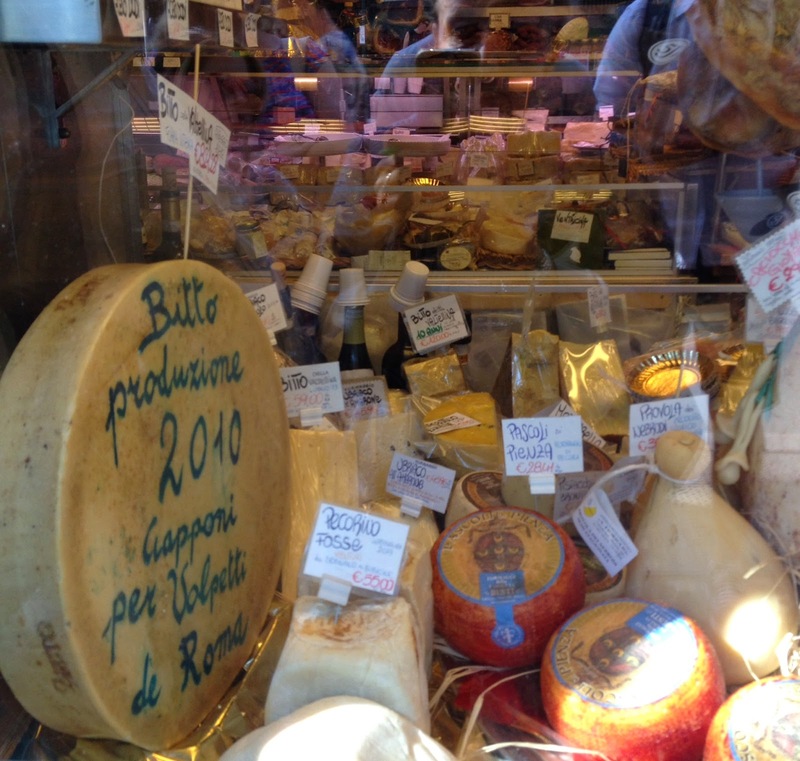 Our vacation to Italy was nothing short of spectacular. It went by way too fast. We took over 1000 photos and have 3 laundry baskets full of clothes to do, (almost done)!! Neither of us gained weight, because we walked everywhere, sometimes up to 8 miles a day. I am still finding pleasant reminders from the beach, sand; in the crease of my wallet, in my sneakers, stuck to the outside of my chap-stick tube even though I’ve wiped it off several times, at the bottom of my suitcase and inside my journal. 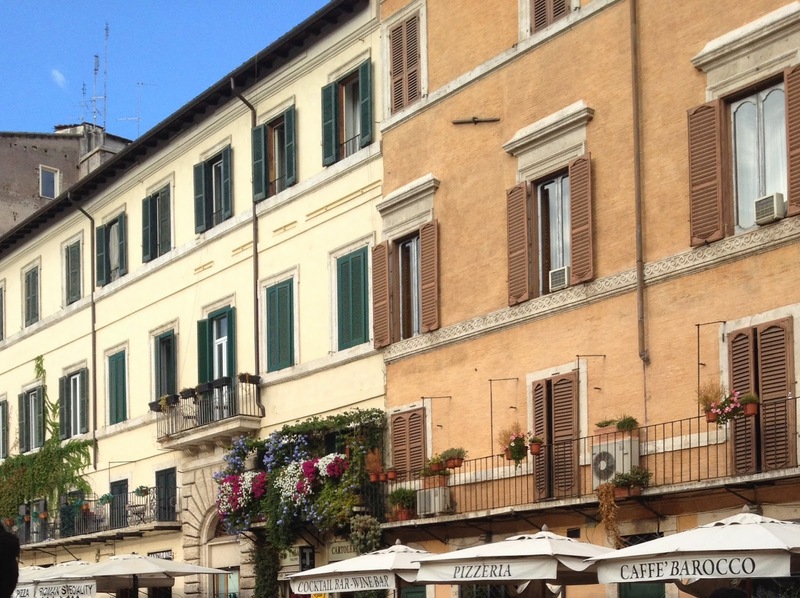 Sadly, I did not find a quilt or fabric store in any of these cities, but did find out there are some in Milan. I did come across many quilty inspirations including colors and patterns, which I can’t wait to share. (Patterns will come in later posts about quilting, and I’ll refer back to this trip and the city where I found it). In Rome, (Roma), the predominant colors were apricot, dusty orange, greens, (mostly medium to darker shades), and a red stone palette. Sometimes they were distressed from age, sometimes not. 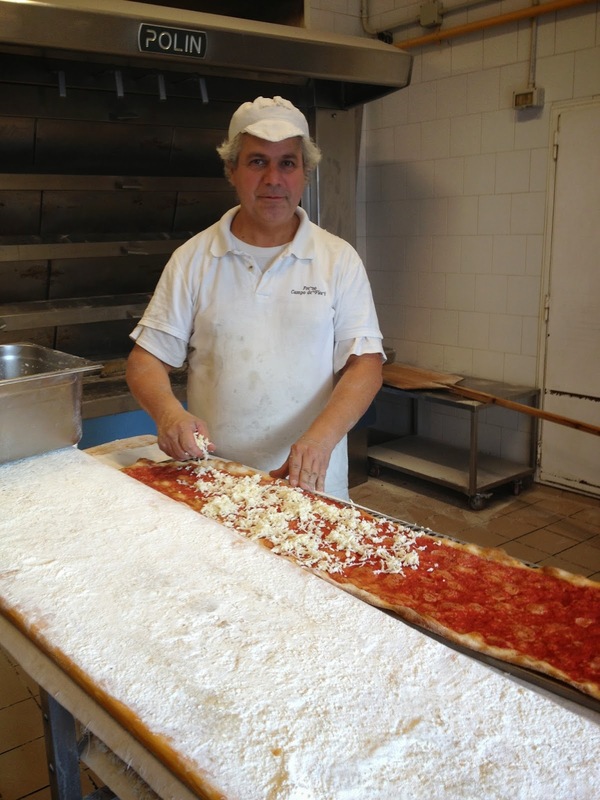 Pizza Maker – Real Roman Pizza!! This was the best pizza I’ve ever tasted. So many interesting shapes and colors that come back around to ideas. 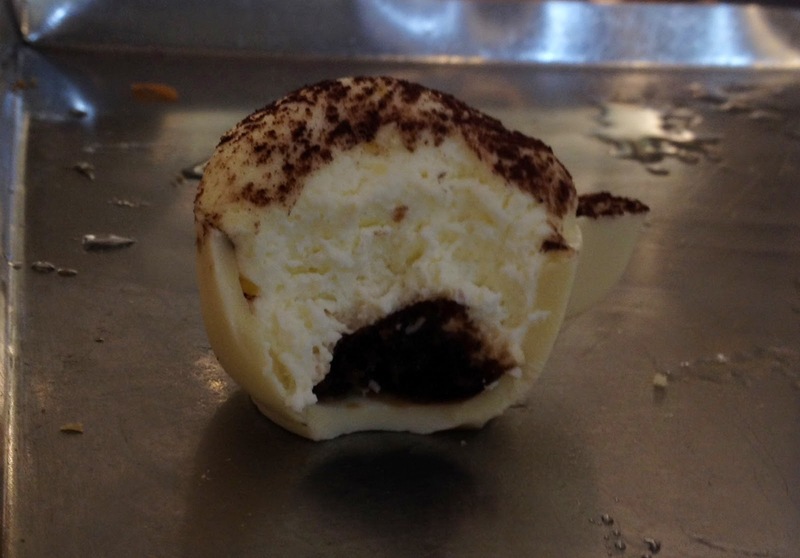 White chocolate espresso cup filled with Tiramisu, cut in half. The color of combinations that look well together were unlimited. 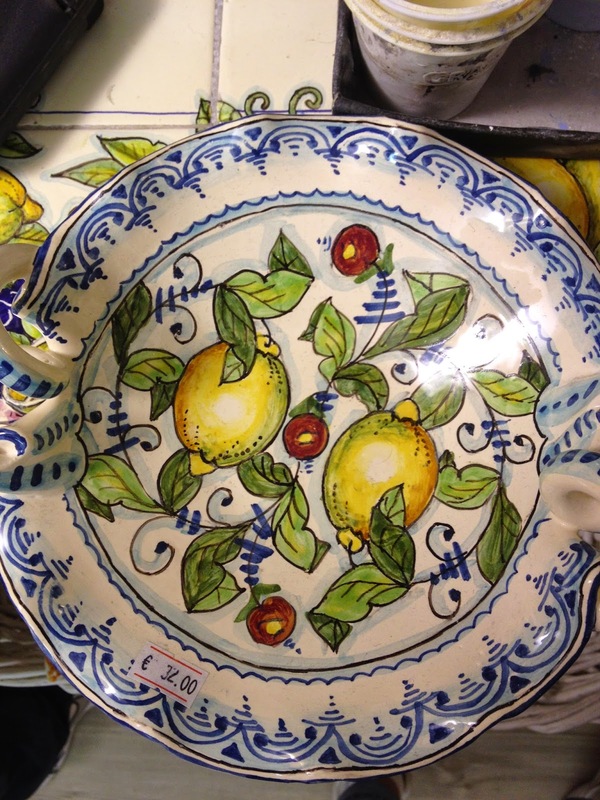 In Florence, (Firenze), the predominant inspirational colors were blues, yellows, peach, red and green. Shades of intense blues everywhere. 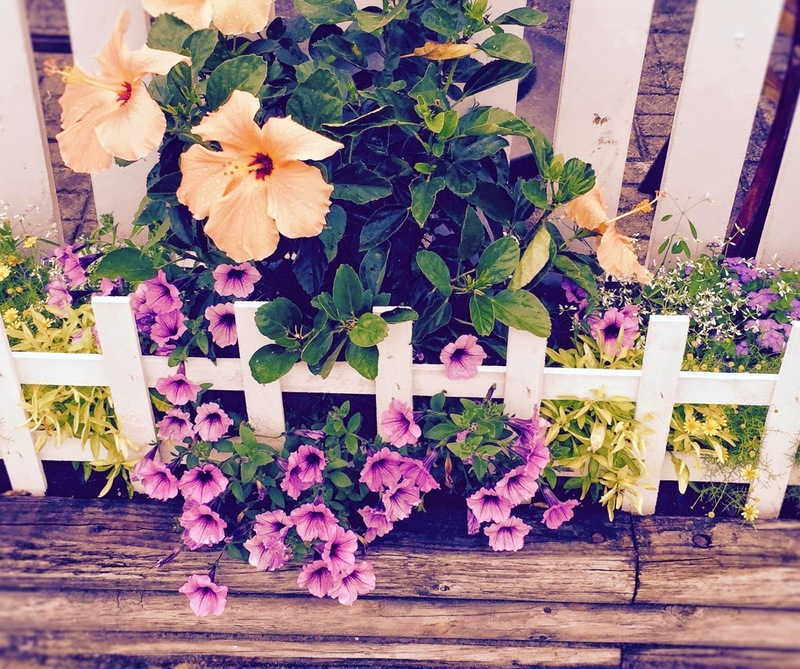 Fresh greenery and plantings where ever I turn!! Around a corner, there is another visual surprise waiting there for me. 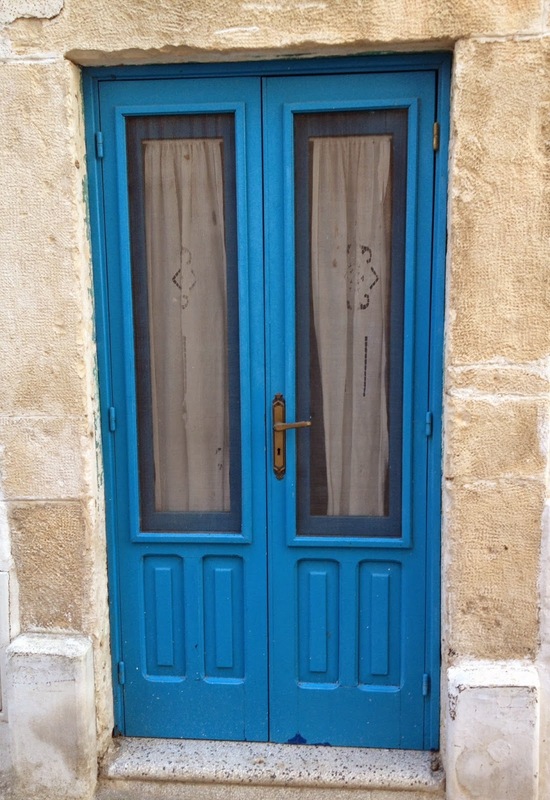 That happend in Ostuni too. 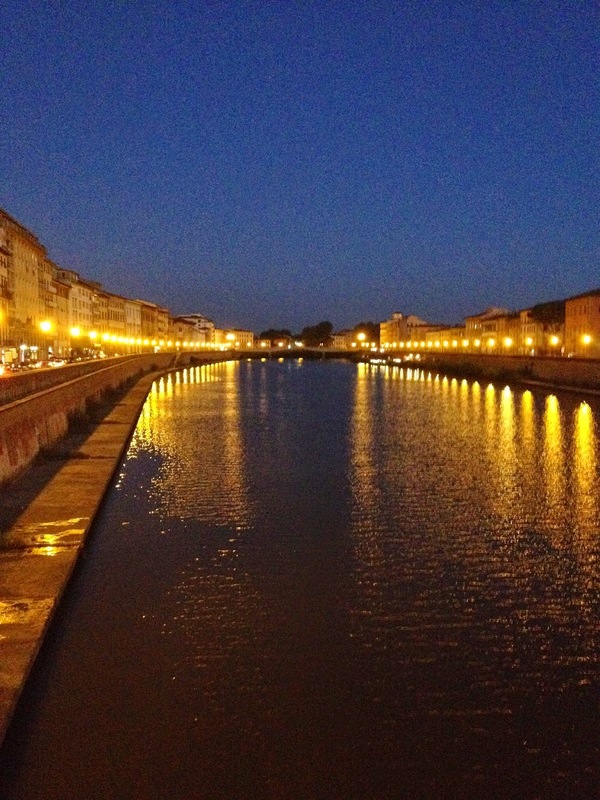 This is a photo of The Arno River that just makes me happy!! 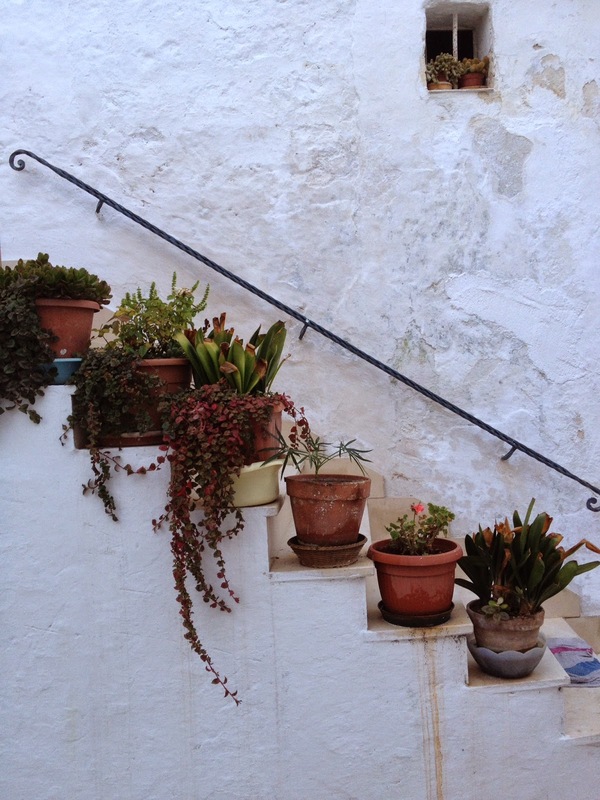 Everthing in Ostuni is decorated with flowers or plants. I think this is one of the most amazing cities I’ve ever visited. We stayed at hotel that was a castle in 3 B.C. Then became an Olive Oil factory. 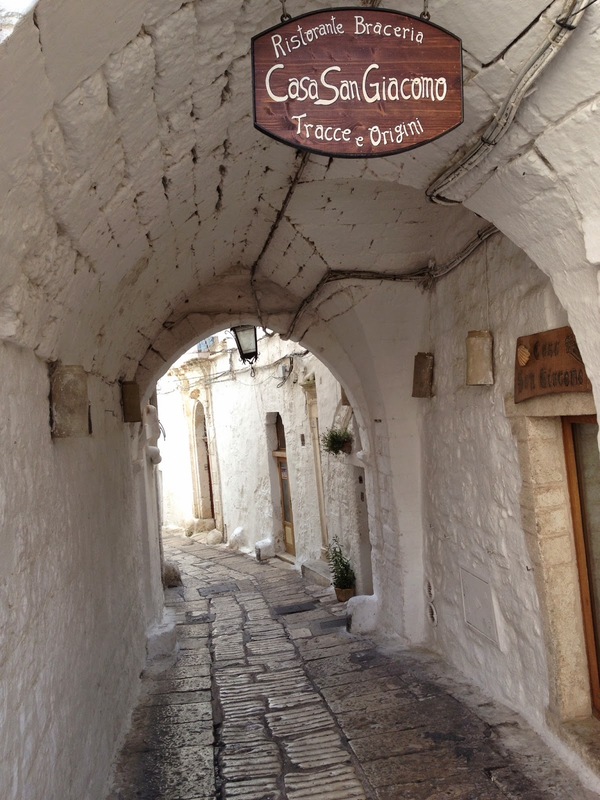 As beautiful as Ostuni is in the day, I was stunned at it’s beauty when it was all lit up at night.…. Now that I’m back home, there will be a lot more blogging and quilting to share with you. I’m still not adjusted to rushing around like I usually do, so if I’m still a little slow with posting twice a week, please bear with me. I’m sorry that I couldn’t upload all the photos I wanted to, to the Hudson Valley Quilts facebook page. Technology abroad was harder than finding unlisted streets on maps. Although I did become a very good map reader on this trip. Eventually, I will add a photo album on facebook of this trip, but not all 1000 photos, I promise. 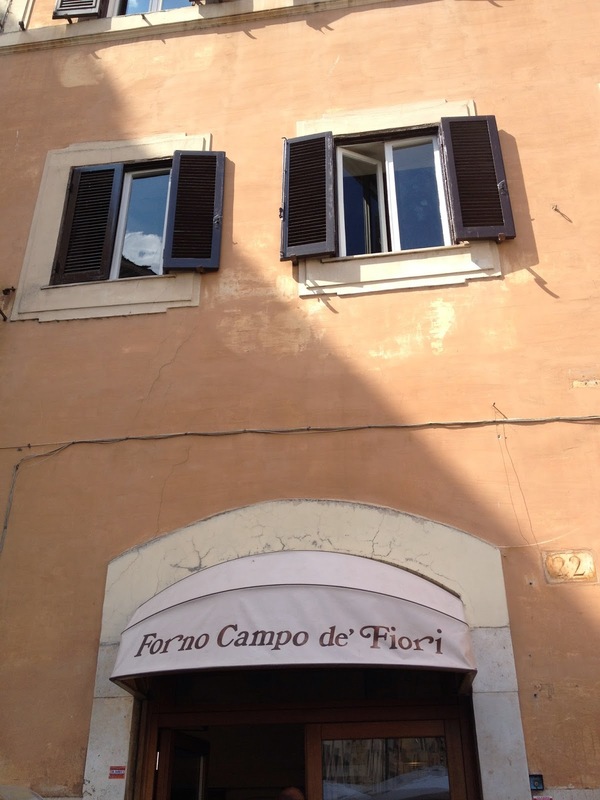 And, a promise I did make to a number of people from quilters to friends – a list of the best hotels, restaurants, short tours and gelato shops from Rome, Florence and Ostuni. I will post it in the next 4-6 weeks. We are finally going on vacation. I may write a short blog post if I find something really interesting to post about. 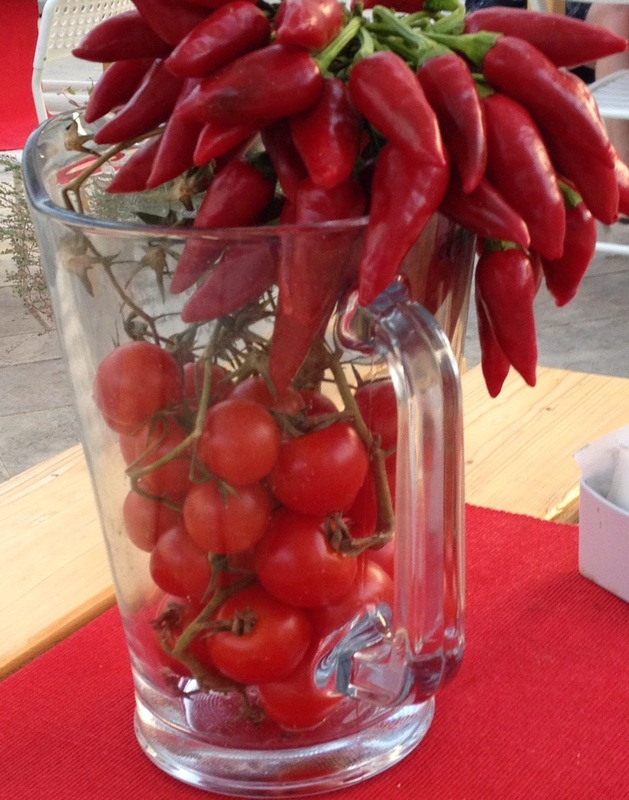 But I will really be sharing lots of photos and inspiration on facebook.